So you’re adding a fireplace. You’re running a gas line out to your backyard grill. You’re adding a bedroom onto the back of the house or turning a garage into an office. You need a permit for these projects. That may seem obvious, but what about some of those other jobs that seem less complicated, like replacing an air-conditioner or building a fence? City officials can help you more than the friendly and knowledgeable guy at the hardware store. Do-it-yourselfers are often less likely to get permits for remodeling than homeowners who hire contractors, says Mike Clack, building department chief in Scottsdale. Yet they’re the ones who need more guidance. If you follow the rules and submit plans to city officials for a permit, they can point out where your problems are and even make preliminary inspections to ensure you’re not getting into trouble. The plan-review process could uncover mistakes you might make. If you don’t get a permit, the neighbors may complain to the city about a fence they don’t like or a casita blocking views. “We often get complaints from neighbors who think a structure on your patio is too high or a fence is all wrong,” says Tom Wandrie, deputy director of plan review for Phoenix. If you don’t have the right permit, it can be expensive. Some cities will not penalize homeowners who secure permits retroactively, provided that the work meets code. But if a neighbor turns you in, and the city inspects your property and finds a problem, you may pay double the permit fee, according to Kenneth Van Karsen, plans examiner in Tucson. Of course, you can also pay to tear down the work, like removing the walls and drywall from around that carport that you turned into a garage. 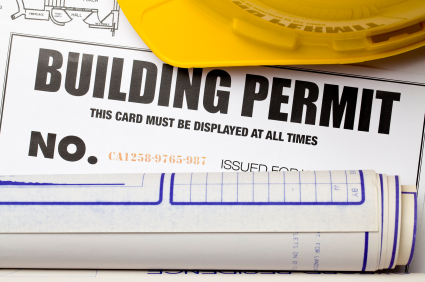 The homeowner, not the contractor, has ultimate responsibility for the permit. If you ask your contractor, he or she can get the permits needed and help with the inspections. But the contractor may charge extra. Generally speaking, the charge and the process could be worth the money. When you sell your house, you may have to do costly repairs if you lacked the right permits. You also could jeopardize any deal once your buyer finds out the work isn’t up to code. City officials say Realtors are savvy about this and can sometimes sniff out what you did wrong at your house. On the other hand, if you’re a buyer, find out before closing what work was done without a permit. Ask about that extra room built out back or the gas line installed for the range. Be sure to have a home inspection done. This can save trouble down the road. Even the little things can be dangerous; that’s why a replacement water heater or air-conditioner needs a permit. Getting permits for these projects — replacing a water heater or air-conditioner — often upsets homeowners the most. But after all, both jobs involve connections to gas and electric lines, and sometimes repairs go wrong. It doesn’t happen often, but it’s actually possible for a water heater to explode into a flying torpedo — like one in Phoenix in 2008 that blew the roof off a house and landed on a nearby street. Many times, replacing a water heater or AC is done on an emergency basis when the planning department is closed. You can, however, get the permit later, in that case. Don’t give in to your inner cheapskate; hiring an unlicensed contractor may lead to repairs or remodels that violate code. Arizona does have a “handyman” exemption so an unlicensed person can do work that doesn’t require a permit and doesn’t amount to more than $1,000 in materials and labor costs. This might be a small painting job or a door repair. But when modifying electrical or plumbing systems, contractors must have a license and a permit. All the cities we talked to have extensive websites that outline rules and regulations for permits. You can often apply online. Some cities, like Glendale, hold seminars for homeowners who are planning projects. Glendale also has videos on its website. You’ll find loads of information online about permit prices, but every city is different. The cost is probably a big reason homeowners avoid getting permits. Some view it as a tax and not a service that helps enforce safe construction practices. Sometimes they’re worried that by notifying the government about home improvements, they’ll end up paying higher property taxes. Regardless, it can save you heartaches and headaches. Here are general rules about permits in Arizona, but check the rules for your own area carefully. This list does not take in all the possibilities. Permits are needed for: Swimming pools, home additions, patio covers, carport enclosures, garage conversions, fences, retaining walls and large storage sheds. 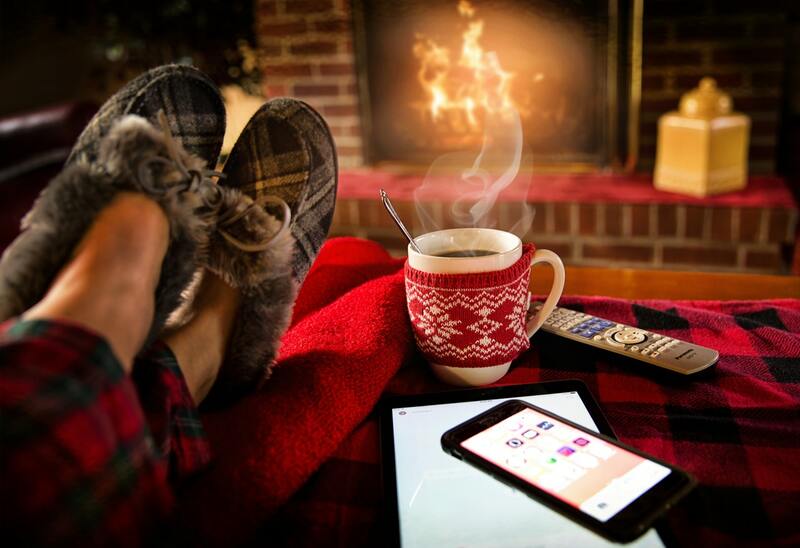 You also need a permit to install, rebuild, alter, repair or replace electrical wiring, plumbing or gas systems, water heaters and furnaces or AC systems. Permits are not needed for: Patio slabs, sidewalks and driveways; landscape-irrigation repairs; installing low-voltage landscape lighting; repairing or replacing glass, doors, hardware, kitchen cabinets, carpet, flooring or trim; painting the outside of a house; replacing a toilet; and re-shingling or re-tiling a roof when using the same material. 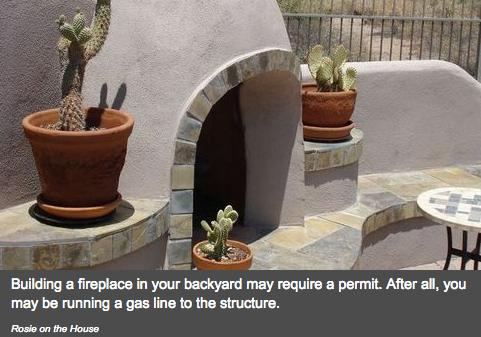 Do You Know If You Have Natural Gas Lines On Your Property? Contact R P Gas ! Copyright © 2019 RP Gas Piping - Phoenix, Arizona. All rights reserved.